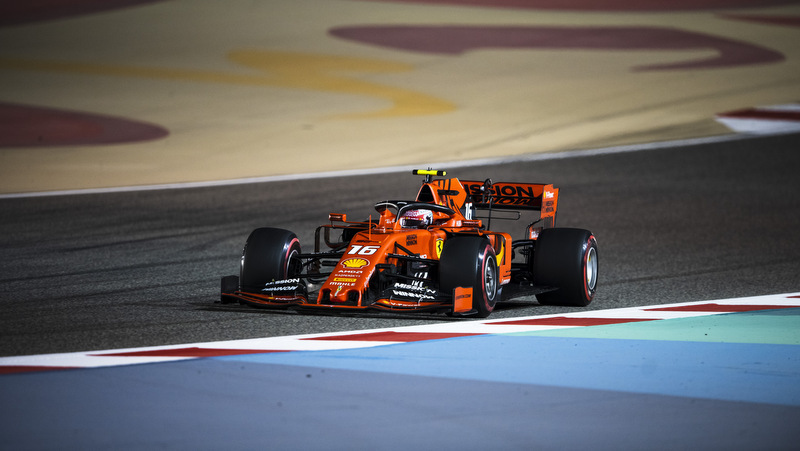 Ferrari’s Charles Leclerc recorded the fastest time at the qualifying stage of the Bahrain Grand Prix on Saturday (Mar 30). Under the Sakhir floodlights and the gaze of Ferrari CEO Louis Camilleri, Leclerc took provisional pole from Mercedes pair Lewis Hamilton and Valtteri Bottas, with teammate Sebastian Vettel sitting out the first runs of the session. Vettel, who held the previous track record at this circuit, took to the track in time for the final runs, but it was clear from early in the lap he wasn’t going to match his Monégasque protégé. The German slotted into second place, and Leclerc improved on his first attempt to put his pole position beyond doubt, beating the track record by 0.092 seconds. Hamilton qualified third, 0.324 seconds behind Leclerc. It was a strong turnaround for Mercedes from the start of the weekend when the team’s deficit to Ferrari looked as large as a second or more.